Charles “Chuck” Wheeler, 84, of Live Oak Place, Carlsbad, NM, passed away August 23, 2018 at Goodlife Assisted Living. Cremation has taken place and a memorial service is scheduled for 10:00 AM, Monday, August 27, 2018 at Denton-Wood Funeral Home Chapel with Mike Veilleux officiating. Interment will follow in Carlsbad Cemetery, Carlsbad, New Mexico. Denton-Wood Funeral Home is in charge of the arrangements. Chuck was born May 7, 1934 in Mangum, Oklahoma to Albert and Opal (Morgan) Wheeler. He graduated from Mangum High School in 1952. 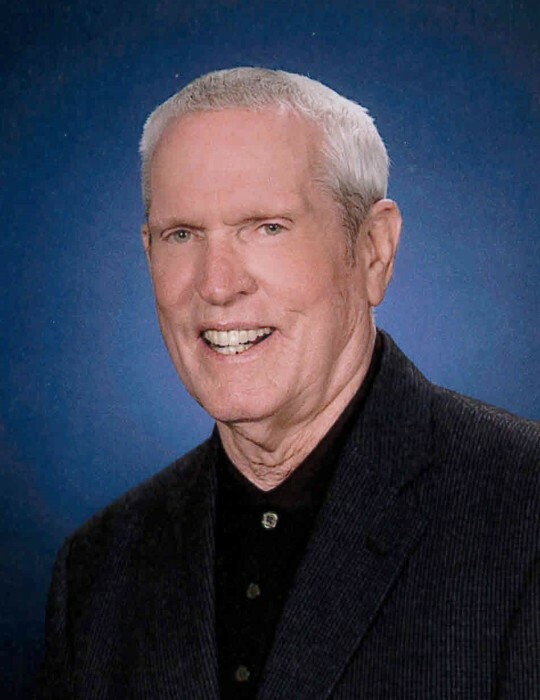 Chuck attended Southeastern Oklahoma State lettering in football, basketball, baseball and track, graduating in 1957. He was proud of Oklahoma sports and never missed the opportunity to talk about it. Chuck moved to Carlsbad in 1968 and was a State Farm agent for 32 years. He married Doris in 1983. Chuck was preceded in death by his parents; wife, Doris Wheeler; brothers: Bernon Wheeler and Lavonne Wheeler. Survivors are his daughters: Marsha Wallace and husband, Jim of Greenville, South Carolina, Monica Wheeler of Greenville, South Carolina, Amanda Dunn and husband, Mike of Venice, Florida and Angela Lamberth of Carlsbad, NM; son, Jeff Rains of Conroe, Texas; 12 grandchildren; 2 great-grandchildren and several nieces and nephews.